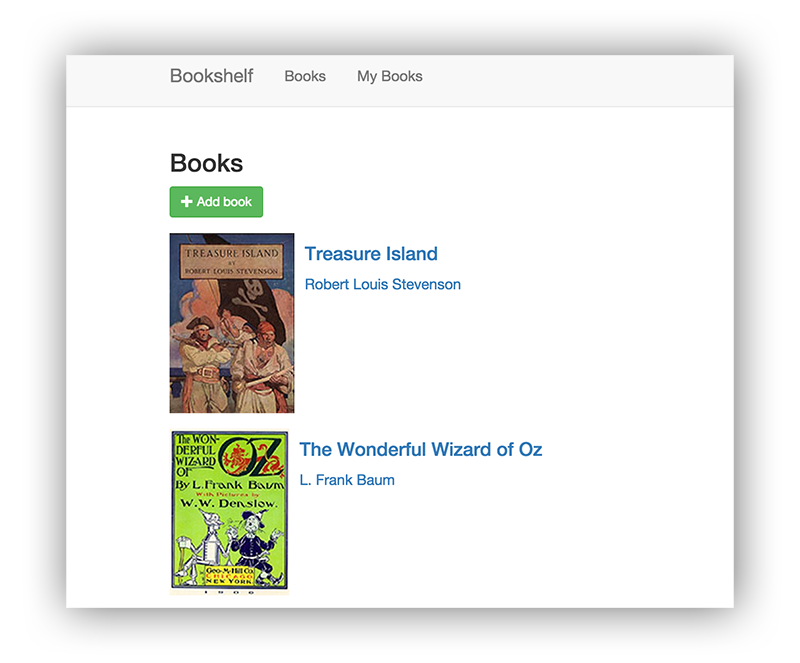 The Bookshelf sample app is based on the Ruby on Rails web application framework. The concepts and technologies explored are applicable regardless of which framework you use. You can implement this app in another Rack-based Ruby web framework, for example, Sinatra. This tutorial assumes that you are familiar with Ruby on Rails and that you have Ruby 2.0.0 or newer installed. To run the gem command, you need RubyGems, which is included in Ruby. You also need to have Bundler installed. As with most Ruby development, installing Ruby gems in this tutorials requires compiling C code and linking against system libraries. Ensure that you have a suitable development environment configured for your particular operating system. This includes a C compiler, linker, and header files for those system libraries. The app's web page displays a form where the user can enter the title, author, description, and publication date of a book. For each book entered, the app stores this information in a database, so it can be retrieved later for viewing or editing. For this step of the tutorial, you have your choice of three databases: Cloud SQL, Cloud Datastore, or PostgreSQL. After you complete this step with one of the databases, you can move on to the next step.